April 22, 2018 3 p.m. The San Francisco Guzheng Music Society will present its 36th annual concert: "HERstory: A Musical Tribute to WOMEN in Chinese History" to a full house. 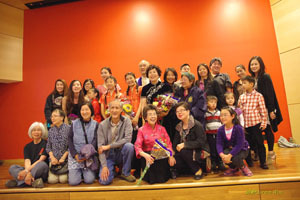 The San Francisco Guzheng Music Society performed to a full house at their 35th annual concert titled "Our Story: A multi-media presentation of the Chinese American Journey". Click here to view the concert. 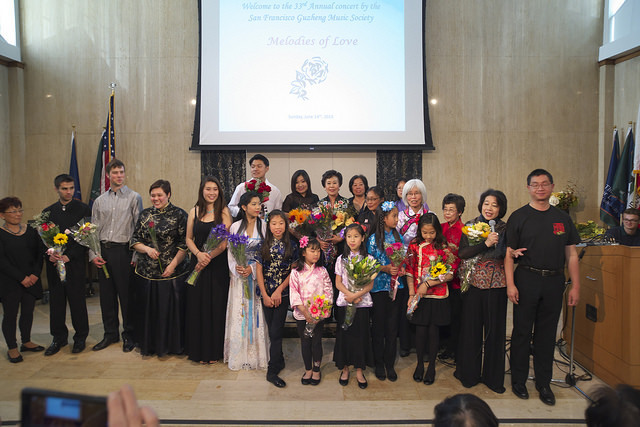 The San Francisco Guzheng Music Society performed to a full house at their 33rd annual concert, titled "Melodies of Love" on June 14th, 2015 2:00 pm at Fromm Hall, University of San Francisco. More pictures from the 33rd annual concert. 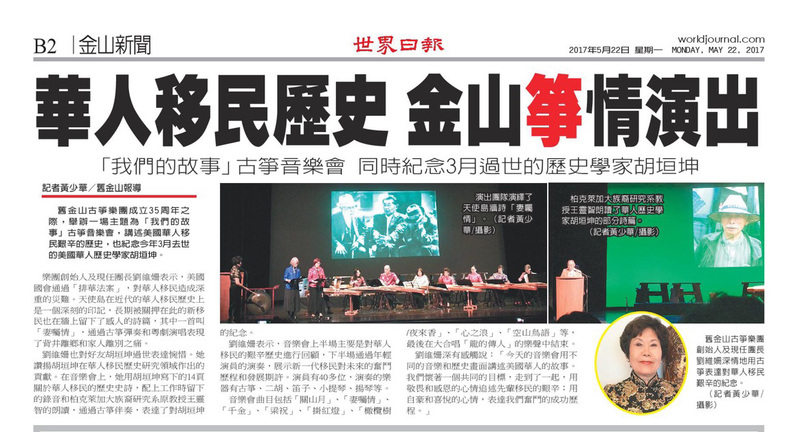 WeiShan Liu and Anna were invited to perform for the Taiwan Tourist Bureau. Here is their performance at the Travel and Adventure show in Santa Clara Convention Center. Click here to view the major performances given by the San Francisco Guzheng Music Society in 2012. The San Francisco Guzheng Music Society will be holding their 37th Annual Concert at the Chinese Historical Society of America on Saturday, June 22, 2019. The theme of the concert is: “The Chinese American Immigration Story - Series 3: Chinatown”. This collaborative event will feature musical performances within the museum’s main exhibition, Chinese American: Exclusion/Inclusion, and a 45-minute performance in the CHSA’s Learning Center. Musicians for this event are first, second and third generation Chinese Americans. The audience will have a special opportunity to engage the exhibits and musical performances from the San Francisco Guzheng Music Society in a new and dynamic environment. The 45-minute recital will feature Liu Weishan on the guzheng in collaboration with Clara Hsu, who will recite her poem, “Chinatown.” The music program present musicians performing traditional Cantonese Opera, group and solo guzheng pieces ranging from folk, classical, modern melodies and new compositions. SFGMS hosted its year-end performance at the auditorium of Recology Golden Gate in San Francisco. The Jasmine Group, Peony Group and other members of the society performed in this event to over 100 guests. SFGMS presented its 36th annual concert to a full house at Children's Creativity Museum in San Francisco. 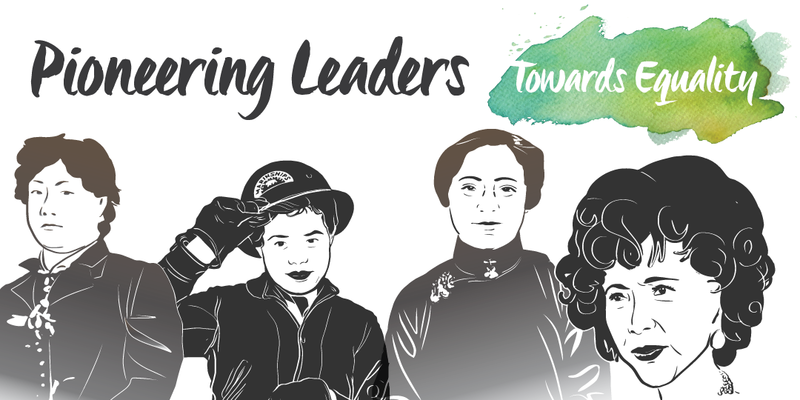 The concert introduced contributions of women throughout Chinese history in the areas of education, military, politics, literature and music. It weaved history with music, dance and poetry, featuring Weishan Liu on the Guzheng with members of the San Francisco Guzheng Music Society; Wei Wang on Drums; Jun Gao on the Dizi (Chinese Flute); Clara Hsu reciting poetry with Guqin; Cantonese opera and regional Henan songs; and Chinese traditional dance. The music included classical, folk and modern compositions. 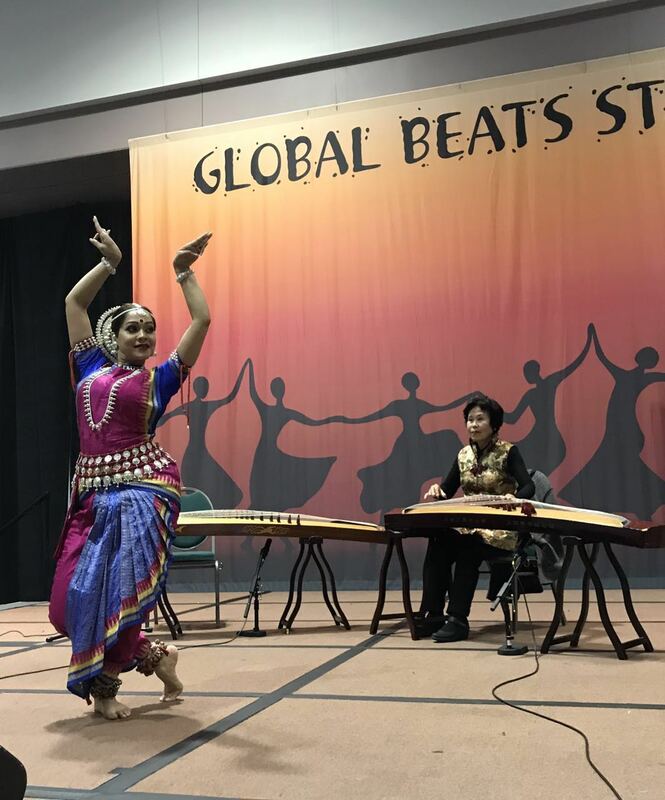 Members of the SFGMS together with its artistic director Weishan Liu were invited to perform at the 10th Annual Spring Festival Silicon Valley Gala at the Flint Center in Cupertino on March 4, 2018. They performed “Wang Zhaojun” to the delight of the audiences. The San Francisco Guzheng Music Society performed to a full house at their 35th annual concert on May 21, 2017 at Cowell Theater at the Fort Mason Center in San Francisco. 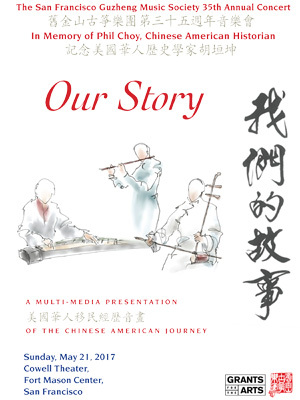 The concert “Our Story: A Multi-media Presentation of the Chinese American Journey”, is in memory of Phil Choy, a renowned historian of Chinese American studies. 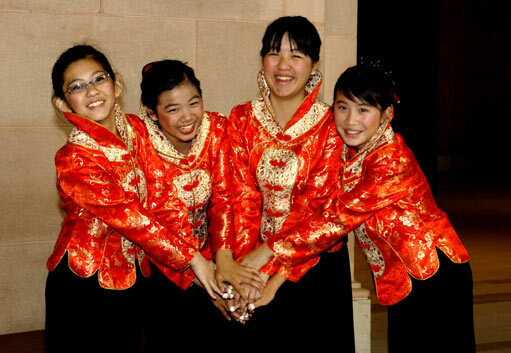 The concert used an integration of historical photographs, narrations of early Chinese American immigration challenges with music accompaniment. Musicians performing include the society’s artistic director Weishan Liu (guzheng plucked string instrument), Siao Feng Chang (erhu, spike fiddle instrument), Jung Gao (dizi, bamboo flute instrument), Strauss Shi (violin), China’s Spirit Music Ensemble, Tranquil Resonance Studio and members of the San Francisco Guzheng Music Society. It was well received by the audience. Click here to view videos of the concert. Click comments to see comments from the audience. Members of SFGMS performed before a standing room only audience at City College of San Francisco, Chinatown Campus on May 15, 2016. Our musical director Ms. Weishan Liu used multimedia to guide the audience through the 8000-year history of Chinese music. She and members of the society performed past and contemporary guzheng masterpieces. The concert was well received by the audience. Click here and here to view pictures from the concert. Members of SFGMS were invited to perform at various branch libraries to celebrate the Asian American Pacific Islander Heritage Month during May, 2016. Click here to view pictures of the performance at the San Francisco West Portal Branch library in San Francisco. Click here to view pictures of the performance at the San Francisco Park Branch library in San Francisco. Members of SFGMS performed at the Autumn Moon Festival on 9/12/2015 and was awarded a Certificate of Recognition from Assemblyman Philip Ting for the society's dedication to Chinese culture. Members of SFGMS performed at the Foster City Library on 9/17/2015 to help celebrate Autumn Moon Festival. Here is a news article about the performance from the World Journal’s 9/28/2015 edition. to provide cultural exchange and performance opportunities for guzheng enthusiasts of all skill levels. The Society stages an annual concert with a carefully selected theme to showcase certain aspect of Chinese music. It also performs at schools, libraries, community events, as well as fundraisers for non-profit organizations and worthy social causes. 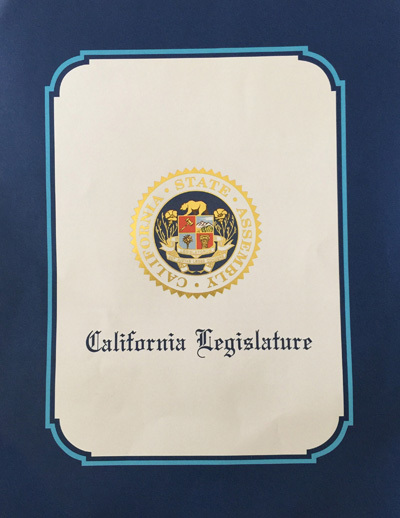 In 1988, the Society was incorporated as a non-profit public benefit corporation under the laws of the State of California and qualified as a tax-exempt organization under section 501(c)(3) of the Internal Revenue Code. Donations to the Society are tax-deductible. More than 200 people attended Prof. Ding Chengyun's lecture on the ancient instruments qin and se 2/26/06. The event was reported in this 星島日報 article.